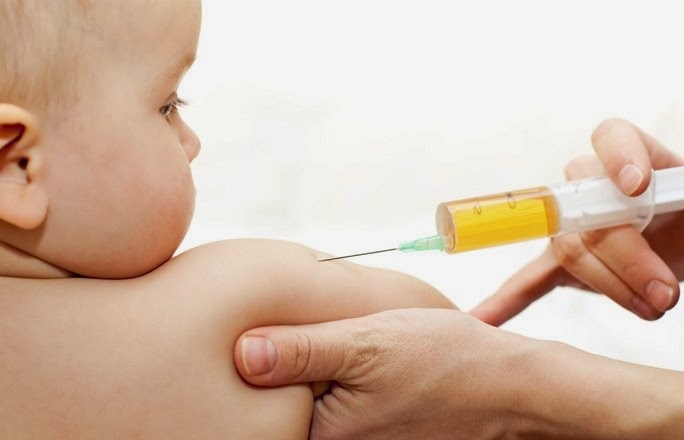 Project Gridless: Vaccination Fears - Paranoia or Legitimate Worry? One of the things I have learned over the years is that a number of people who are into "off the grid living" have a tendency to have unfounded superstitions about vaccinations against measles vaccinations, tetanus vaccinations, polio vaccinations, etc. Measles, mumps, rubella, hepatitis B, etc. Basically a long list of contagious diseases which can kill you, your child, and are actually pretty commonly spread infections that can be carried by people who are immune (because they were vaccinated) and can make other people sick. I find this one funny. You see children are BORN with autism. You cannot give them autism with a vaccination shot. There has never been a single recorded incident of anyone ever being "given" autism as the result of a vaccination. That would be like giving someone "down syndrome" by giving them a needle. Of all the brain-dead conspiracy theories, this is the worst one that people cite when they say they don't want their kids to be vaccinated. I mean okay, if there was actual proof of children getting vaccinated and getting something, that would be different. But there is no proof whatsoever, just an urban myth with zilch for proof. And apparently a lot of gullible people who think autism is somehow connected to their kids getting vaccinations. Seriously. There are people out there who see the government in the drinking water (oh no, chlorinated water! ), spy satellites in the sky (which apparently are so horrible they cannot find plane wreckage in the Indian ocean), and think that vaccinations contain "mind control drugs" that will force people to conform and do what the government wants. Well I have news for you. I drink chlorinated water and I have had all of my vaccination shots and I absolutely despise Prime Minister Stephen Harper. Trust me, there is no mind control drugs in the water or the vaccines. And if the government is spying on me with their crummy satellites, they are welcome to watch. All they will see apparently is blurry images that cannot be differentiated from ocean garbage. Now this is the only legitimate reason. Basically what happens is the family's older child had an allergic reaction when they had their vaccinations, and the parents decide that when they have a 2nd or 3rd child to skip getting the vaccine for their newest child. On the plus side, the allergic reaction is only temporary. So there you go, two paranoid delusions and one legitimate worry. I firmly believe that people who refuse to get their kids vaccinated have been drinking too much unfiltered ground water that has lead in it. So if you were paying attention, lead poisoning makes you stupid. Not vaccines. Not chlorinated water. Lead poisoning. Learn the freaking difference. But there is a very valid reason why your kids should be vaccinated. Because someday they will come in contact with someone carrying an infectious disease that your child should have been vaccinated against - and your child will get sick, and depending on the disease there will be a high or low change of death. 50/50 really. So your choice. Be paranoid. Or be smart and protect your kids from diseases.